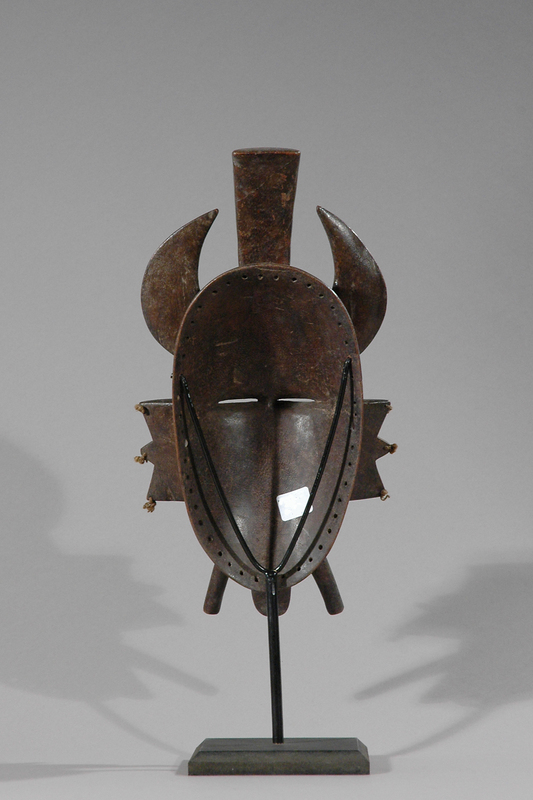 This face mask would have been worn during elaborate funeral ceremonies. 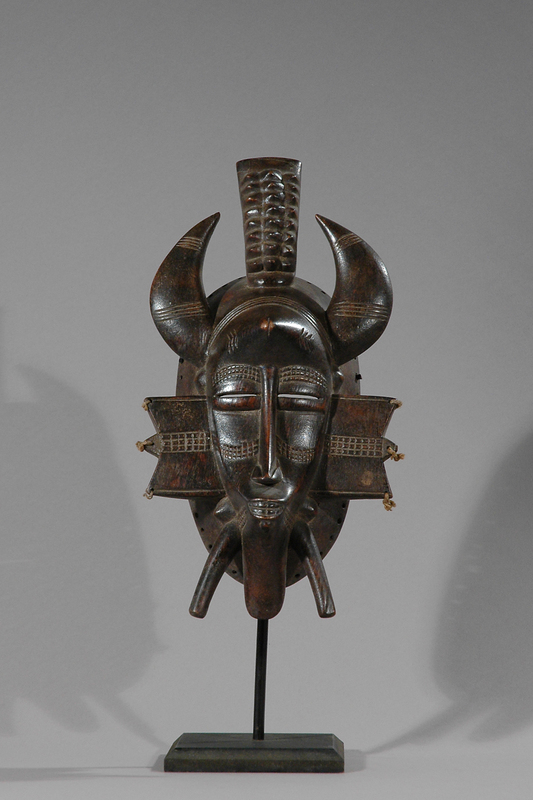 Called ‘kpeliyee’, anthropomorphic masks such as this one were used to coerce the spirit of the deceased to leave his home. The narrow nose leads to the protruding mouth with prominent teeth. 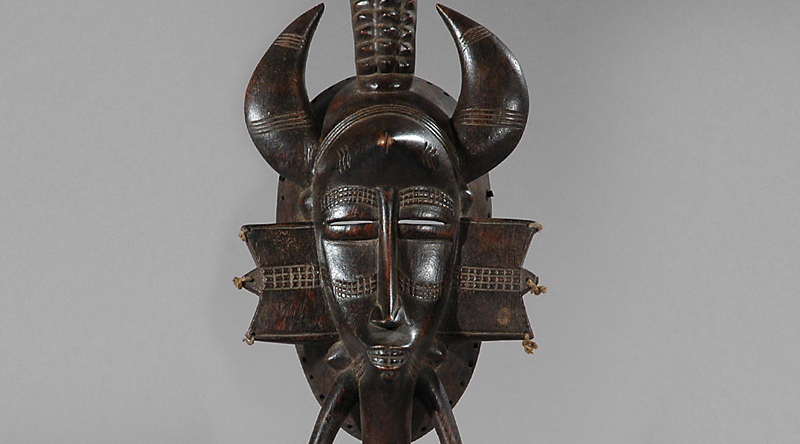 There is evidence of decorative scarification around the mouth, cheeks, eyes, and forehead. 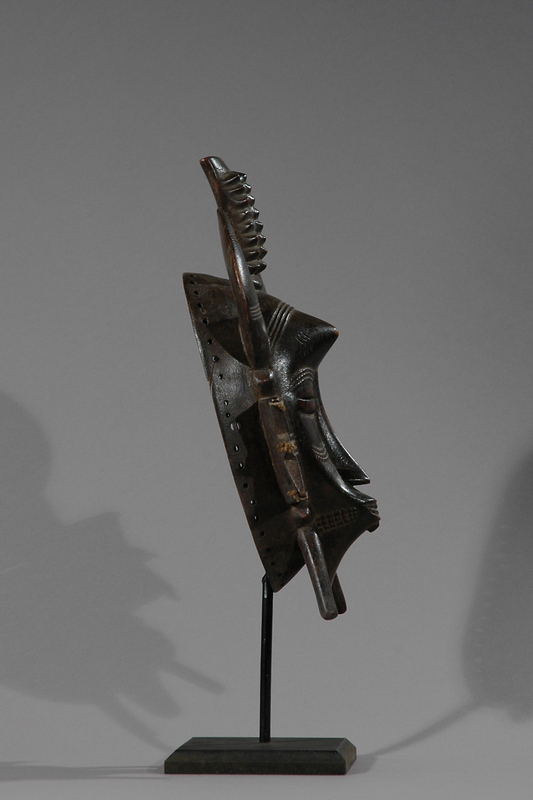 Two abstracts “legs” extend from the jaw. 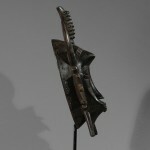 Most probably, these depict either lock of hair or ear pendants. 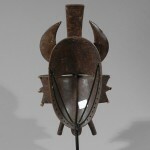 The jutting shape at the top is a representation of a bunch of palm nuts, a symbol of fertility. 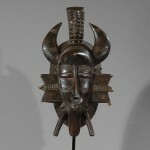 The mask represents a stylized female form but was worn by men. 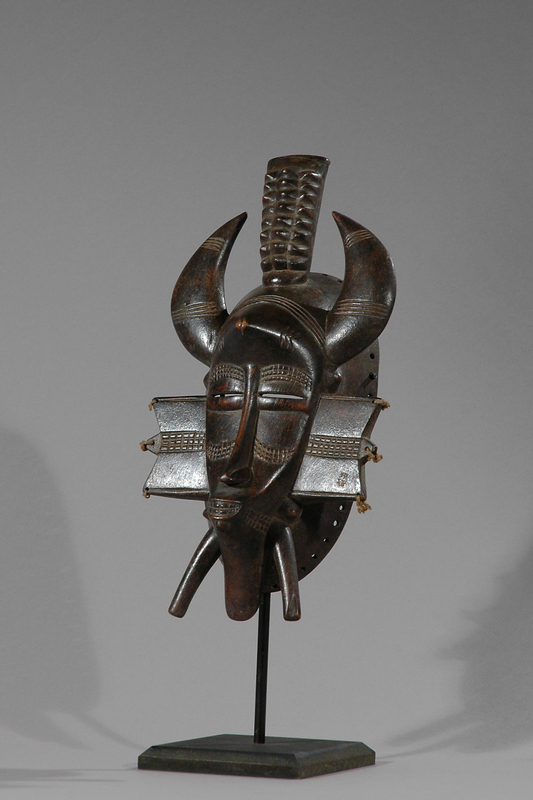 The spirits of deceased ancestors played an active role in the religious beliefs of the tribe. 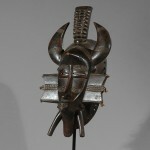 Thus, this mask was a potent icon for the Senufo. By conjuring its powers, the wearer attempted to communicate with fallen relatives while simultaneously invoking the fertility that sustains us all.